Sometimes the pests in and around your garden can start to turn a hobby of plant upkeep into a chore. 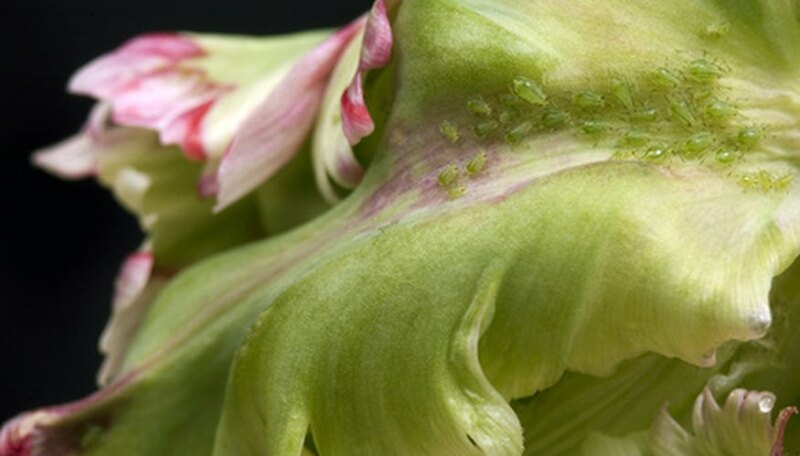 If aphids, spider mites, June bugs and other insects are invading your garden, you’ll want to put a stop to them as soon as possible. Luckily, you can make a simple homemade bug trap for little expense and use up empty milk jugs in the process. Once your milk jugs have the right mixture in them all you’ll need to do is hang the jugs in a good location to keep pests out of the garden. Rinse out an empty milk jug to clear away any milk residue. Set a funnel over the opening of your jug and put the cap off to the side. Add to the jug a cup each of water, sugar and apple cider vinegar. Set the lid on the jug and shake the solution well to mix it. Cut up the banana peel into 1-inch pieces and put the pieces into the jug before shaking it one more time. Cut a section of twine at least one foot long, basing the length on where you want to hang your jug on and how far down you want it to hang. Tie one end of the string to the handle of your milk jug. Tie the other end of your string to the point you want to hang it from. This can be a tree limb, shepard’s hook, tomato cage or whatever you prefer. Remove the lid from the jug and let it hang for a week as bugs are drawn to the mixture. Dump out any remaining mixture after a week--as well as any dead insects trapped inside--and rinse the jug well with clean water. Remake your bug-killing mix, if desired, in the jug and re-hang it to keep your outdoor pests under control. If you don't have anywhere to hang your jug you can still have success with the solution by setting the jug on level ground near your garden area.